When you think ‘social network’, the first sites popping into your mind would probably be Facebook, Twitter or Google+ – maybe even those now derelict platforms of yesteryear such as Bebo and MySpace. LinkedIn is the foremost social network for those looking to make useful connections and interact on a more intellectual level, stretching further than the occasional "LOL" or "#justsayin". It helps businesspeople find associates, prospective clients and enhance their potential future success. 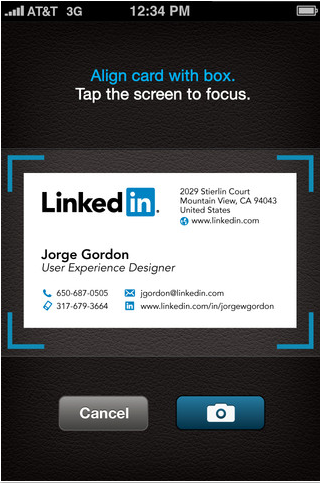 Recognizing this, along with the fact that most of its users will be smartphone’d up, LinkedIn has revamped its handy little CardMunch application for iPhone users, which allows them to digitize business cards for viewing at any time – another stride in the ongoing transition from the pen-and-paper days. There is no shortage of apps which do a similar job, but like most business-orientated apps, they are paid, often at extortionate rates. 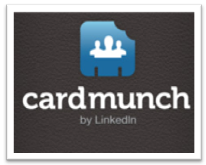 CardMunch, however, is free – something we all like to hear given the App Store’s lack of a try-before-you-buy implementation. Before the digital age, it was just plain ol’ paper cards, which can often prove a nightmare to keep track of. Unless whomever distributed it is of any relevance, it usually ends up at the very back of the wallet. As well as being an out and out business card reader, it allows users to check the profile, links in common, and other useful information of the person. The contact details can be seamlessly transferred to the iPhone’s address book, while the scanning feature is said to be much improved and more accurate than the previous version. Socially networking on the fly is one of the most useful ways of keeping up-to-date, however some (such as Facebook for iOS), have frequently let down, causing no end of frustration and "unable to connect" messages in times passed. As a result, third-party applications have thrived, with consumers willing to pay the odd dollar or two for better functionality and feature-set. Let’s hope LinkedIn doesn’t make the same mistakes. If the screenies are anything to go by, it could prove to be a real winner. As we’ve said, it’s free, and you can grab it via this link, or of course through the App Store app on your iPhone.